Leading WA surgeons Mark Lee and Tim Hewitt have joined forces to provide the highest quality non-surgical treatments to restore your natural, healthy glow. A range of skin care products are also available. Best described as a ‘non-surgical facelift’ – TITAN stimulates the collagen in the skin though medical grade Intense Pulsed Light (IPL). The most commonly treated areas include the cheeks, jaw line, under the chin, neck and the abdomen. Generally, one to three treatments are required over a few months as the new collagen forms to optimise results for one to two years. LimeLight is a new, no­­­n-invasive approach to skin rejuvenation. It uses light treatment to effectively improve uneven skin tone and improving discolouration such as brown age spots, freckles, skin redness and individual fine veins. One to three treatments (of around 5-30 minutes) is recommended to see immediate results. If you have specific spots treated they will darken immediately and begin to flake off naturally within one to three weeks to reveal clearer skin. If you have general redness or fine veins treated, the redness will gradually lighten over three to five treatments. The treatment requires no anaesthetic or pain medication, with patients occasionally feeling a “sunburn” sensation on the treated area for up to one hour immediately following the procedure. Discuss your options in detail during a free consultation with our cosmetic nurse to develop a treatment program that’s tailored specifically to your needs. AcuTip uses medical grade Intense Pulsed Light (IPL) on a wide range of skin types to remove sun spots and red veins. It delivers light energy safely and effectively to treat individual sun spots and facial veins. The cooled tip is ideally sized for tracing small vessels on the nose, cheek, chin and other areas of the face. It can just as easily be used to remove sun or age spots found on the neck, décolletage and hands. Each treatment will take between 5 and 15 minutes, and generally one to three treatments will be sufficient. 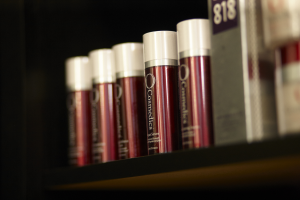 O Cosmedics is a skin care range that is Australian owned and exclusively engineered using the purest combination of medical grade ingredients and cosmetic science blended harmoniously with nature. O is made using the most potent and concentrated active ingredients in base creams that have a natural and perfect skin affinity. 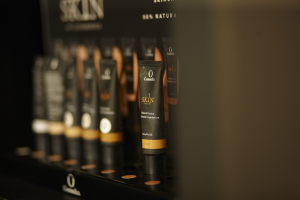 O helps to reduce the effects of aging and lays the foundation for timeless beauty without breaking your budget. A gentle daily facial cleanser strengthened with antioxidants. Fortified with anti-pollutant boosters that trap and remove dirt and excess sebum. A cleanser and scrub all in one, empowered with four physical exfoliating beads to offer the skin an invigorating, deep cleansing experience. This unique, patented, luminescent effect lightens and smooths the delicate eye area. With powerful moisturisers and a tetra peptide help to reduce puffy eyes and the appearance of lines and wrinkles and boost firmness and elasticity. leaving the skin hydrated and radiant. Potent Clearing Serum has four actives that control breakouts and diminish the appearance of scarring. Encapsulated Salicylic Acid and L-Lactic Acid exfoliate the skin and encourage cell turnover whilst powerful botanicals support the reduction of inflammation. Cutting edge super-antioxidants and potent concentrations of V8 peptide complex make this age defying cream a five-star anti-ageing treatment. Fortified with vitamin C it works to awaken and hydrate the skin, assist relaxation of muscles and help to reverse and diminish the signs of ageing whilst providing a feeling of instant lift. Hair removal and reduction treatments for permanently smooth skin. 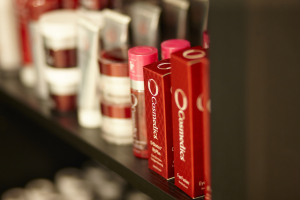 Restore volume and smooth skin with our fast, simple treatments. Personalised surgical solutions to enhance your natural beauty.